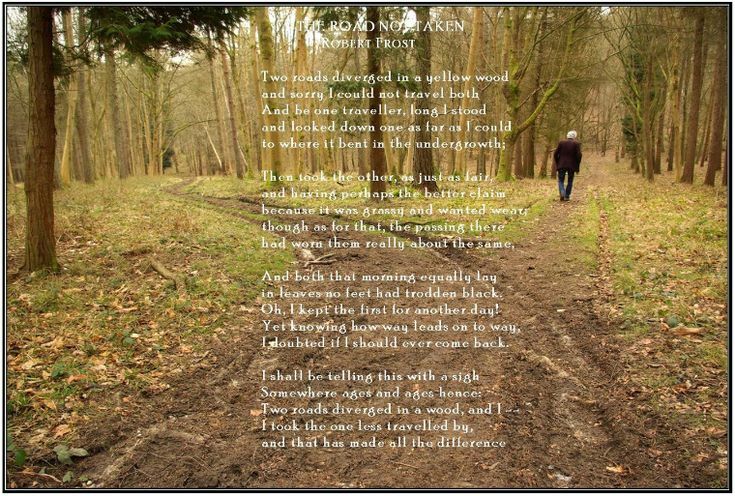 At school, we had a poem in our course syllabus – “The Road Not Taken” by Robert Frost. That was the first poem that stuck in my head over the years. Beautifully capturing the dilemma between the two options handed to him and his regret at never having tried the other path, I always felt I could relate to it. I am not the most decisive person. I’m not very comfortable right after I take a decision, as well. I have the problem of immense self-doubt, many a times. The constant question – “What if I had done that instead of this?” – does nag me. I deal with it somehow but I do tend to stop and think. I fall into the category of people who had to change schools when they were kids. It isn’t easy. You get used to your old school and are forced to leave your friends to enter into completely new premises, with new people who are that much comfortable amongst each other as you are uncomfortable. I was very scared. I was shy (though now I’ve completely transformed) and an easy target for being bullied. I guess I must have cried the maximum during schooling. Now, I have to watch F.R.I.E.N.D.S finale to just tear up. I knew about the imminent change and the fact that I would have to leave my school increased my hesitation. I suppose, majorly, I was worried that no one would know me in the new school, that I would be invisible. Don’t get me wrong, I was sort of invisible and not a part of social groups in school, but I wasn’t unknown, I did get on the map. The teachers knew me. But for the latter to happen I had to shift, didn’t I? I did. And that was the best decision I ever made. When I moved from school to college, the times were bad. As in, I didn’t really think I would even get into a college. I was and will always be a good student, don’t get me wrong. I’m ambitious. But that important year, I did nothing and the bad times were all my fault. Of course, lesson was well learnt and I made sure it was never my fault again. I’ve done well till now, hoping for the best in the future too. Pardon me for digressing. Coming back, the choice of moving away from the life that I knew into a new city was again a tough choice to make. The pros, as mentioned, were the change that I’d receive and the distance from everything that depressed me. The cons, alone, in a new city, away from home. But over the four years I spent in college, I did better than at school. Not only was I on the map, I occupied a substantial enough position on it. My opinion mattered, was taken into account and respected. I had improved since my schooling days and am proud to say that the transformation was even more obvious, and for the better! So for this to happen, I had to move, right? Battle with my inhibitions and move forward, right? I did. And that was the best decision I ever made. Two points – your choices define you, for better or for worse and everything happens for a reason. True, to someone who doesn’t believe in coincidences, these two statements are contradictory. If they chose their path, then destiny had no role to play. But I’ll tell you why I believe equally in both. In life, you are always presented with a fork, like the poet in the poem. There is always an option and it will always confuse you. Each option will have its own merits and demerits and unfortunately, you are left to your own devices to take the correct decision. Help may be obtained, but you are the one who has to live with the decision. So what do you do? You decide and do something anyway! You can’t stay constant when the universe itself faces entropy. You take a step either towards the right or the left and let the path take you wherever. That’s where the destiny comes into the picture. You can calculate and calculate the risks you might encounter on the chosen path, but accuracy in the predictions is always far from the truth. You never know what’s in store for you along the way. Yes, I know you are judging me, but don’t. I’m already quite hard on myself. Just till I can cope with my mistake, I let destiny take the fall for me. I’m sure you do that, or are tempted to do that too. So, to summarize, the duet between fate and our choice help in our growth. They are the reason for our transformation, according to me, at least (to each their own). I could have stayed in my old school and I knew even back then that my life would have been different and I wouldn’t have met the lovely people I have in my life today, had I stayed. But I could have stayed. It would have been my left. And fate would have taken me elsewhere. But I chose right, and it brought me where I am today. The fork is the start of life of thee. A beginning, a middle and an end, the parts three. And the end is, where you, today, stand. Completely relatable. It is like you were describing my life/philosophy!!! Loved it.